Sociologists tell us that less than one percent of the population are happy in their chosen occupation. Boston Breweries, proud brewers of Naked Mexican craft beer, are stoked to say that they have found a brand ambassador who is not only ecstatic about his choice of lifestyle, he is also extremely successful at what he does. Meet Tristan Roberts, body boarder extraordinaire. Tristan has been body boarding since the age of seven, and watching him perform in the waves you’d think he was born and raised in the surf line. There aren’t enough surfing superlatives or clichés to describe the moves he pulls as he shreds the wave faces; even the names of the moves he performs can give you goosepimples: grabbing big air, inverts, backflips, air reverse 360˚s, el rollos – the works! The energy of the sea transformed into spectacular human motion – there can be no more visceral sport on the planet. Spending at least half of his life travelling the world bodyboarding circuit gives Tristan an incredible overview of the ways of the world, and this maturity is evident when you talk to him. Despite his success in competitions globally, he remains approachable and modest about his achievements; he talks more about the people he has encountered and how they have affected his life. His engaging manner invites friendship, and makes him the ideal ambassador. And talking about achievements… He is the current ISA Men’s World Champ, as well as the ASB Pro Junior World Champ. That’s World Champ, in both cases, in case you missed it. An incredible accomplishment for a young South African; but when you see Tristan carving his signature on the waves, you’ll understand exactly why he has reached these levels. He makes each wave his own, and like a jazz musician he interprets the shifts and moods of each break. Tristan jams like the pro he is! His schedule is packed with upcoming events, with three in Portugal and two in the Canary Islands looming in September and October. Tristan’s open approach to life is confirmed when he tells you that Portugal is his favourite destination; not because of the great breaks and Atlantic swells, but because of the people he communicates with. A down to earth attitude that belies his immense talent. 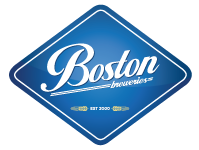 Boston Breweries loves unique individuals; people who are not only expert at their chosen sport or occupation, but who are passionate about life and who give off an infectious energy. Tristan Roberts is the perfect example of this special type of human being; and Naked Mexican Craft Beer’s crisp dry taste is the ideal beverage for a World Class body boarder to slake a salty thirst. And as an accompaniment to sea food – nothing better!